You are "parents in the know", does this sound plausible to you? Although type 1 diabetes can't be prevented, some research suggests that avoiding early introduction of some research that fishes around phrases like "other factors" may play a role in lowering the risk of some researchers developing a punch in the nose by stressed out parents who have had enough of some studies that try to make parents feel guilty and the smug study authors feel superior for finding a way of promoting their agendas at the expense of T1 parents and kids. HI Bennet, just discovered your blog and as I also have 2 kids (11 and 9) who have Type I but are completely different, I am enjoying having a read. I understand that there has been some significant research (in Scandinavia, I believe) to indicate that cow’s milk is a possible trigger – that said, my wife used a combination of breast feeding and soya formula milk (revolting stuff, ever tried it?) for the whole of the first year for both our two, and it didn’t make any difference. Quite agree that woolly rubbish like ‘other factors’ is of no help to anyone! I have heard a lot of stuff claimed as triggers, most of it from people who have other agendas. You know follow our agenda or you get type 1. Works well since nobody knows the triggers it is hard to disprove. 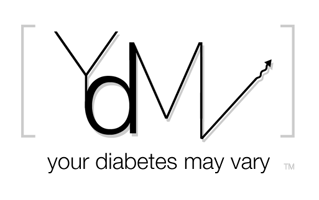 All kidding aside, kidding around about diabetes is what this site is about. Diabetes is just part of a diabetic's life and dealing with it is as much a mind game as a blood sugar game.